Charles Dickens. Hablot "Phiz" Knight Browne, illus. When the publishers of the Pickwick Papers, Chapman & Hall, brought out the anonymous, acerbically witty "Sketches of Young Ladies" in 1837, their resounding success prompted the 26-year old Dickens to write, the following year, a companion piece, "Sketches of Young Gentlemen," followed two years later (to coincide with the engagement of Princess Victoria and Prince Albert) by the "Sketches of Young Couples." 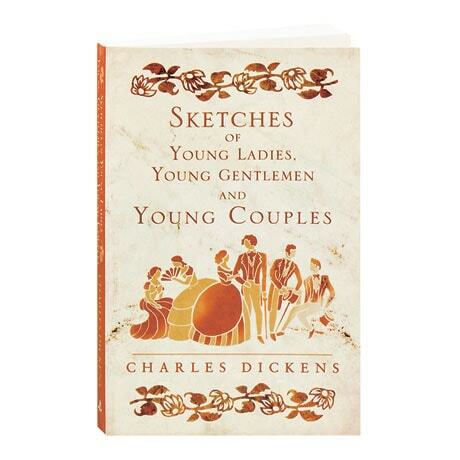 First published in a single volume in 1843 with original engravings by Phiz—included in this edition—these satirical portraits not only reveal the dazzling brilliance of young Dickens's genius, they also offer a humorous glimpse into Victorian mores and attitudes.